To read more about TinyCat’s Library of the Month feature, visit the TinyCat Post archive here. 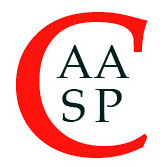 In honor of School Library Month we’re featuring the Asian American Studies Program (AASP) at Cornell University, who’ve been with TinyCat since the beginning! First, what is your library, and what is your mission—your “raison d’être”? Established in 1989, the Asian American Studies Resource Center at Cornell University serves both the campus and the surrounding Ithaca community. Library materials and media pertaining to Asian America are available for study, research, and viewing. The AASP collection includes over 1200 books, journals, periodicals, and music; over 300 films; and, thanks to TinyCat, is searchable online. Tell us some interesting ways you support your community. In addition to housing our online library catalogue, our website serves as a resource for students seeking internship and conference opportunities as well as those looking for courses or applying for a minor in Asian American Studies. Our study lounge is open five days a week and available for group study, organization meetings, film screenings, or just hanging out between classes, and many student groups and departments across campus use the space to advertise events, projects, and materials of interest. The Resource Center is funded and managed by the Asian American Studies Program, which coordinates a wide range of programming throughout the year, but regularly hosts two weekly lunch series devoted to faculty, staff, and student presentations and discussions as well as a monthly Spam and Eggs Community Breakfast. All events are free and open to the public and take place in the Resource Center itself or across the hall in its conference room. What are some of your favorite items in your collection? I love these posts for a lot of reasons. They encourage our student staff and their peers to independently engage with the library outside of their required reading and perhaps consider ideas they might not have otherwise encountered. The students also have a lot of fun with the accompanying pictures, usually pulling volunteers from whoever happens to be in the Resource Center at the time and having them strike a dramatic pose with that week’s selection. Posts go up on Facebook and Instagram, and always draw a lot of love from current students as well as alumni and faculty. What’s a particular challenge you experience as a small library? Our budget for new materials is relatively small, and we are located in an out-of-the-way part of campus, so people sometimes have some trouble finding us. But they are always delighted when they do. What’s your favorite thing about TinyCat? Anything you’d love to add? I really appreciate the service that TinyCat provides because it makes us more accessible for people. I’d like to be able to offer electronic versions of books as well in the future. Want to learn more about the Cornell Asian American Studies Program? Follow them on Facebook and Instagram, visit their website here, and be sure to explore their library on TinyCat. To read up on TinyCat’s previous Libraries of the Month, visit the TinyCat Post archive here. Calling all TinyCat libraries: become TinyCat’s next Library of the Month—just send us a Tweet @TinyCat_lib or email Kristi at kristi@librarything.com. In honor of Women’s History Month, we’re proud to feature The Feminist Library on Wheels, our first (free) mobile lending library to join the feature! They’re doing a great service promoting marginalized voices throughout their local communities. The Feminist Library On Wheels is a free mobile lending library of donated feminist books, founded in July 2014. Our mission is to celebrate and promote feminist works, and move them among communities to center marginalized voices and experiences. F.L.O.W. joyfully empowers people to find tools for liberation, making feminism accessible to all. We try to make feminism, books, and human-powered transportation more available and visible; all three can be tools for self-determination, greater mobility, and welcoming community. Our main branch is located at the Women’s Center for Creative Work, a nonprofit focused on supporting feminist creative communities in Los Angeles. We reach a variety of audiences, all of whom have very different relationships to feminism, books, and mobility. A common query from people who approach us at events is something like, “I wish I knew more about feminism but I don’t know where to start.” We try to meet people where they are, and to make feminism less scary and intimidating. Another question we’re often asked is whether we have men among our cardholders: we do, and we’re glad to offer a free and nonjudgmental resource to men who might not feel comfortable or confident seeking out feminist books elsewhere. We’re also able to provide materials that aren’t on the shelves at local public libraries, or are in such high demand at academic libraries that they become hard for students to find. Because we bring small pieces of the library to so many different settings, it’s interesting to both consider and watch how the books and their new readers connect with whatever is happening—the way someone attending an art opening discovers a collection of essays on an as-yet-unarticulated idea, or someone new to political activism comes to the Women’s March and walks away from our booth with an introduction to anarchism. Now that we have more volunteers on duty for office hours, we’ve been able to more directly help people in the network of the Women’s Center for Creative Work, like when one of our volunteers provided unique and in-depth research advice for one of the artists-in-residence here. Each month the Women’s Center prints a bulletin and calendar, which includes both news and themed reading recommendations from F.L.O.W., connected to programming and events in our community. That’s incredible! Speaking of recommendations, what are some of your favorite items in your collection? 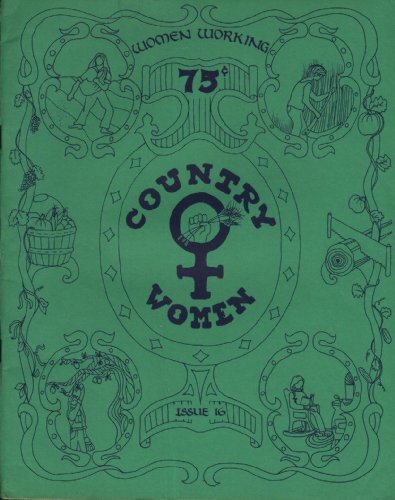 We have a neat selection of items in our special collections, which includes signed copies of books authors have sent us or devoted readers have gifted, as well as several uncommonly available publications like the Woman’s Building’s Chrysalis magazine and Country Women (pictured right). We’re also lucky to have a substantial zine collection, donated by small organizations and individuals, which helps us support an expansive and generous take on the idea of authority in our collection. New visitors are often surprised and pleased to know we have a large section for young readers and teens too. What’s a particular challenge you experience, as a small library? Since our lending policy is intentionally very open and generous, there’s a decent percentage of the books we check out that are never going to find their way back to us (which is fine, we want the books to live long and full lives out in the world). Since we don’t have a lot of money in the bank, it’s hard to keep some of the titles we’d like to have as staples on our shelves to meet the demand we have for them from cardholders (things like bell hooks’ Feminism is for Everybody, Audre Lorde’s Sister Outsider, anything by Octavia Butler or Sandra Cisneros, and more). We often find ourselves just outside the qualifying criteria for grant funding, and we’re small enough that both writing and implementing large grants would be a major commitment of labor we can’t quite manage yet (not to mention our more ethical concerns about participating in the non-profit industrial complex). It sounds like your library accomplishes quite a bit despite its challenges. As far as using TinyCat to help your library: what’s your favorite aspect? Anything you’d love to add? I love it that TinyCat gives us the ability to have a “real” online catalog anyone can use to browse our collection using tools that don’t require a degree in library science to master. A lot of our volunteers are or have been librarians, or are currently in MLIS programs, but some of our volunteers don’t have any kind of professionalized training, and we like the idea of being able to readily share both the books themselves and the labor involved in running the library with people from many backgrounds, who have lots of different kinds of experience and expertise. I can’t leave out my second favorite thing: the amazingly efficient and cheerful help from staff! I’d love it if we could search and manipulate our circulation data a little more easily (to generate a list of most-checked-out books to update our donation wishlist, for example). Since we’re mobile, a TinyCat app would also be amazing! I hear you! Although we don’t have mobile scanning capabilities at this time, TinyCat is mobile-friendly (you’ll just need to keep a bookmark for your TinyCat in your browser, most likely). As far as circulation reports and statistics are concerned, those are high on our list of features we hope to add in the near future—we’ll be sure to let you know if/when anything changes on that front. 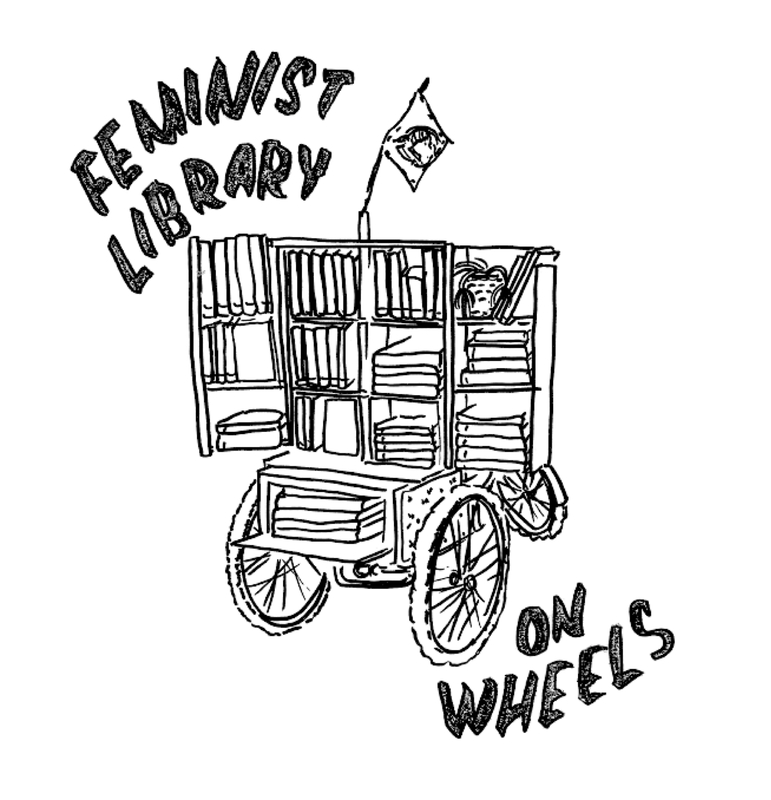 Want to learn more about the Feminist Library on Wheels? Follow them on Facebook and Instagram, visit their website here or on Squarespace, check out their Patreon page, and be sure to explore their library on TinyCat. This month we feature The Global Literature in Libraries Initiative, an organization doing great work to promote diversity in reading worldwide. The Global Literature in Libraries Initiative strives to raise the visibility of world literature for adults and children at the local, national and international levels. We do so by facilitating close and direct collaboration between translators, librarians, publishers, editors, and educators, because we believe that these groups in collaboration are uniquely positioned to help libraries provide support and events to engage readers of all ages in a library framework that explores and celebrates literature from around the world. programming ideas for various library user groups: children, teens, college students, adults, English Language Learners, etc. exploration of ways in which non-US publishers of English translations and non-US, non-English-language publishers can more easily promote their works among libraries. We provide support to librarians of all kinds seeking to fully diversify and globalize their collections and programs. This support is provided through our blog, social media platforms, the GLLI Translated YA Book Prize, and our booth at ALA’s annual conference. 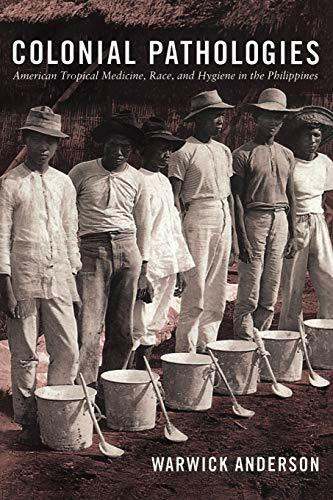 Translations compose a minuscule part of the Anglophone publishing market, and often these works are challenged in terms of visibility in the review and marketing platforms. We want to try to make it easier for librarians to find the international works that will create interest and empathy in their communities. Although we don’t have a physical collection, we are especially proud of our YA prize, which is unique in the awards world. We are also building up our reference catalog here on TinyCat (image left), and we see great potential in this tool, which will help us connect librarians more effectively with the books most relevant to their diverse user groups. Our greatest challenge is building visibility for our organization in the US publishing and library frameworks. We love the ease with which we can build and tag titles out of the Amazon database, which includes English translations from literally around the world. There aren’t any particular improvements we can think of at this time. Want to learn more about The Global Literature in Libraries Initiative? Follow them on Facebook and Twitter, visit their website at glli-us.org, or check them out on TinyCat. The Pecorella Library of the Center for Ancient Mediterranean and Near Eastern Studies (CAMNES) has been a personal favorite of mine for some time now, and I’m very pleased to feature them as TinyCat’s January Library of the Month. The ‘Pecorella Library’ is part of CAMNES, the Center for Ancient Mediterranean and Near Eastern Studies. We are a study and research center based in Florence (Italy), which coordinates academic programs related to ancient studies as well as international archaeological excavation projects. 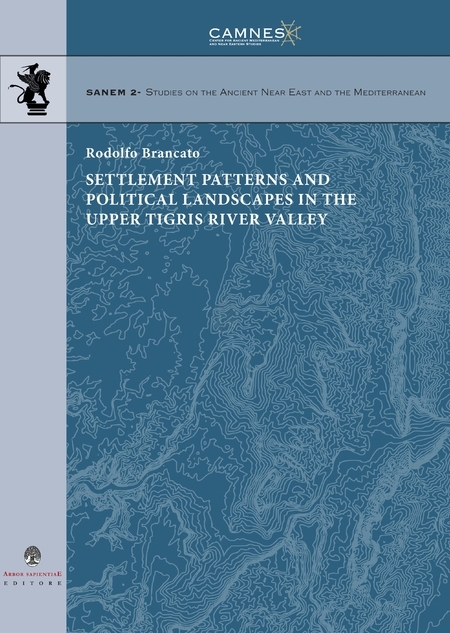 The main corpus of the library is based on the private collection of Paolo Emilio Pecorella, an Italian archaeologist of the Near East and professor at the University of Florence who unfortunately died in 2005 at the archaeological site of Tell Barri, Syria. Our library is mainly focused on the history, philology and archaeology of the Mediterranean and Near Eastern cultures and is open to the public. We offer research and bibliographical support to the Italian and international students who need further insight on archaeological publications, while scholars from Italian research institutions are also fond of our small library due to the presence of recent and rare publications in the field. We are particularly proud of very old publications of the past century, for example preliminary and final excavation reports and a good section on cylinder seals, which professor Pecorella collected in his home library and that now are available to all. Last but not least, we are also very proud of our own series SANEM (Studies on the Ancient Near East and the Mediterranean, pictured left) that was recently established—you can find them at camnes.org/publications. Due to the small dimensions of the library, we are lacking professional personnel, which is certainly a difficult aspect to handle but at the same time rewarding. It is also difficult to communicate to the rest of the world of our existence since we are located within a building and not directly accessible from a street. Fortunately, scholars and students know about us but we would also like the broad public to interact with us due to our ‘public archaeology’ philosophy. We love it! It is a very flexible and slick interface that gives you high quality service just as a large library with a dedicated OPAC. The possibility to customize certain parts is top notch! Plus the annual fee is very reasonable, especially for our status. Want to learn more about The Pecorella Library? Check them out on TinyCat and at camnes.org. The Brain Charity offers emotional support, practical help and social activities to anyone with a neurological condition and to their family, friends, and carers. There are hundreds of different neurological conditions, including stroke, brain injury, dementia, brain haemorrhage, and many rarer conditions. We have information on more than a hundred different conditions here in the library. We also have a wide range of more general information and guidance on living with a disability or long-term health condition. Our library and information service is the hub of our centre in Liverpool (pictured left), and the first port of call for newly-diagnosed people seeking help and support. We are a national service, and we support people from all over the UK. The library showcases the range of support and information available to people with a neurological condition. And TinyCat helps us to showcase what we have in the library. We have many books that are difficult to find in other public libraries. We also have a large number of leaflets, booklets and other materials produced by other organisations and other charities. I really like all the information that we have here which helps children to understand what is happening to them or to their parents. 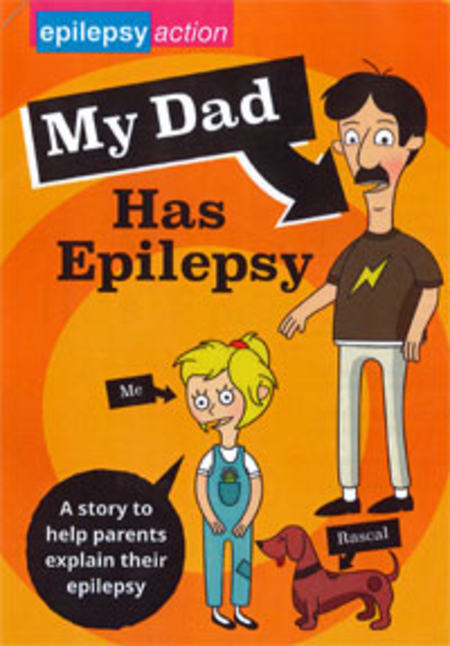 For example, the book My Dad Has Epilepsy (pictured right) is written specially for children aged six to thirteen years old. We have a very small staff and rely on our great volunteers to catalogue for us. We have a lot of unique items and ‘grey literature’ which need cataloguing by hand. TinyCat always looks bright and friendly, and it’s very easy to use, both for clients and for staff. And you’re always quick to help out if we have any questions or problems—which doesn’t happen very often! Perhaps the only thing to improve TinyCat, for us, would be some stats to see how people have found our TinyCat page, and what they are searching for in the catalogue there. Want to learn more about The Brain Charity? Follow them on Facebook or Twitter, visit their website here, or check out their library on TinyCat. We’re a rapidly expanding independent media company that has earned the respect of the publishing industry, the culinary world, and most importantly, millions of home cooks (just ask the best cooks you know). We are passionate about cooking—discovering why recipes work and why they don’t—and sharing what we learn to help everyone cook with confidence. We test cookware and supermarket ingredients to find the best quality products for home cooks. We don’t accept advertising. Research development starts at the library. I help our test cooks and interns research recipes and culinary history. I have multiple projects occurring simultaneously. We have two magazines, Cook’s Illustrated and Cook’s Country as well as recipe development for the books. It is satisfactory to see how the recipes come out. Some recipes take a few short months to develop, while others have taken years. That’s impressive! With R&D starting at the library, what are some of your favorite items in your collection? 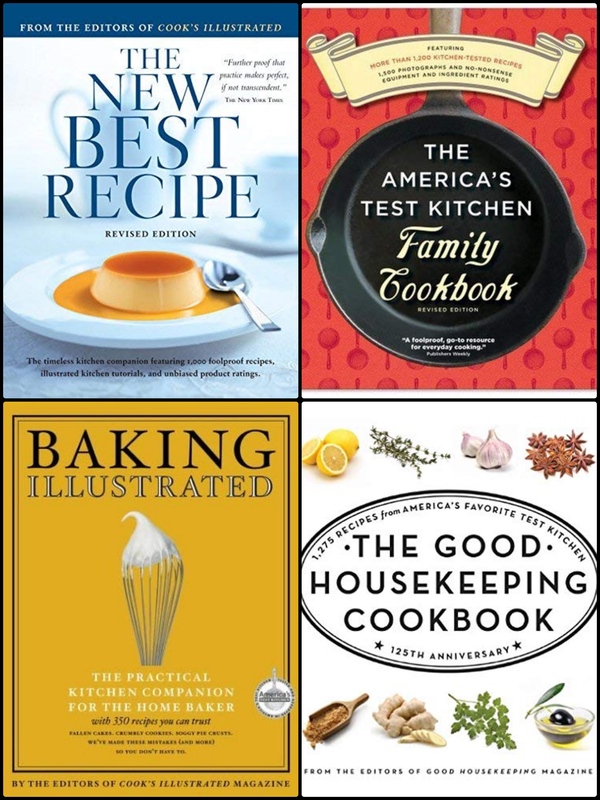 We have every book published by America’s Test Kitchen. It is interesting to look at the collection to see how the company has transformed and evolved. Cook’s Illustrated celebrated their 25th Anniversary this year and for the first time started publishing the magazine in full color. We also have Good Housekeeping magazines from the 1940’s and those are very cool to look at. I am a graduate student at Simmons University and there have been other interns who maintained and cataloged our collection before me. I have been looking through the collection deleting multiple records of the same item, which has been easy to do with LibraryThing. TinyCat is easy to use. I have test cooks who can come into the library when I am not there and be able to locate the books they need. As a student and intern, I am still learning all the different facets and capabilities of TinyCat. Want to learn more about America’s Test Kitchen? Visit their website here, or check out their library on TinyCat.